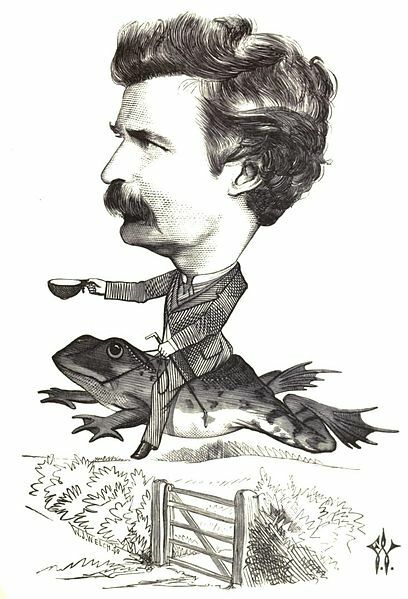 Every year since 1928 a competition takes place in Angels Camp, California: the Jumping Frog Jubilee, a popular event inspired by Mark Twain’s famous short story The Celebrated Jumping Frog of Calaveras County. At the time - the story was first published in 1865 - the now endangered California red-legged frog (Rana aurora draytonii) was very common in that area: thus this was probably the species used for the competition and to which the story refers. However, at the end of the 19th century a new non-indigenous species entered the scene: the American bullfrog (Rana catesbeiana). Soon after being introduced into the area, the bullfrog replaced the indigenous red-legged frog within the Calaveras competition, and since 1986, thanks to Rosie the Ribiter and its jump over 6.5 m, the American bullfrog has held the world record! Nevertheless the greatest ultimate jump that the species managed to perform, with substantial help from human agency, has been through the Atlantic Ocean, from the New to the Old World. And it was definitely a very fortunate jump! Like many other frogs, this typical edible species has experienced several introductions throughout the world for human consumption, often linked to the restaurant trade, but also for the pet trade. This “gourmet” indigenous to North America, was considered particularly suitable for aquaculture and has been frequently farmed for commercial production in countries outside its native range. The result is that the species is now spreading in several countries and islands worldwide, mainly as a consequence of escapes from breeding facilities (but also from garden ponds), or following intentional releases aimed at establishing wild populations to be regularly harvested. Thus, not surprisingly today the American bullfrog is thriving into many countries throughout the world, including several European countries (e.g. Belgium, France, Germany, Greece, Italy, the Netherlands, Spain, and U.K.). Unfortunately, the species is also considered a serious ecological threat for indigenous species. Indeed it is a voracious opportunistic predator, eating a wide range of preys, from insects and other invertebrates to several vertebrates, including amphibians and reptiles, small mammals, and birds. Competition dynamics with indigenous species are also known to occur, as it may compete for food with indigenous amphibians, at either adult or larval stages. The American bullfrog may also bring the inherent risk of spreading harmful pathogens, like Chytridiomycosis. This fatal disease caused by the fungus Batrachochytrium dendrobatidis has been associated with a number of amphibian declines and extinctions in geographically disparate parts of the world. In economic terms, although extensive studies on the impact of this species are not available, figures related to local situations show that their management may be very expensive. In the U.K., for instance, early efforts to remove the first breeding bullfrog population to protect native wildlife cost some 32 000 Euro. In Germany the annual cost for measures to control a few bullfrog populations (in only five ponds) was calculated to be 270 000 Euro, but the cost for control would rise to 4.4 billion Euro in the event that this species spreads throughout Germany. Scalera R, 2007. An overview of the natural history of non indigenous amphibians and reptiles. 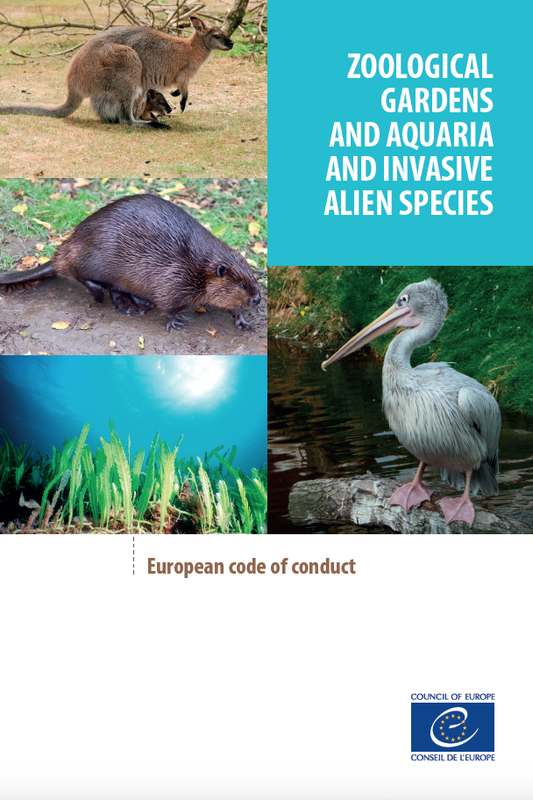 In: Gherardi F. (editor) Biological Invaders in Inland Waters: Profiles, Distribution and Threats. Invading Nature: Springer Series in Invasion Ecology, Springer, Dordrecht, The Netherlands, Pp. 141–160. Scalera R, 2007. Virtues and shortcomings of EU legal provisions for managing NIS: Rana catesbeiana and Trachemys scripta elegans as case studies. 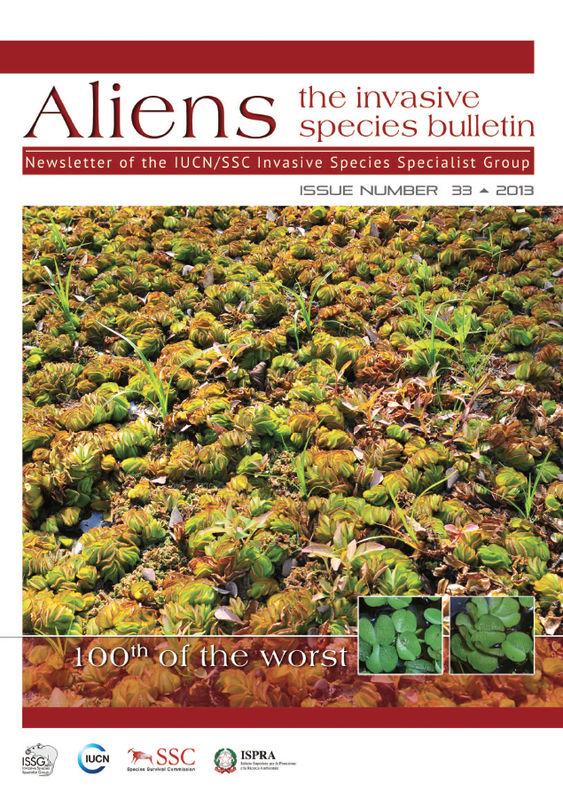 In: Gherardi F. (editor) Biological Invaders in Inland Waters: Profiles, Distribution and Threats. Invading Nature: Springer Series in Invasion Ecology, Springer, Dordrecht, The Netherlands, Pp. 669–678.